3.65 MB, 1920x1080px, 7 secs. 35.24 MB, 1920x1080px, 6.9 secs. 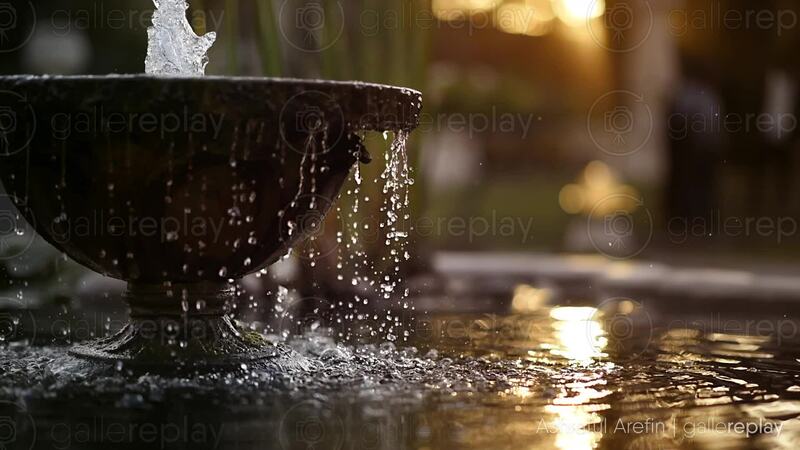 Water flows from a fountain in a garden at dusk.